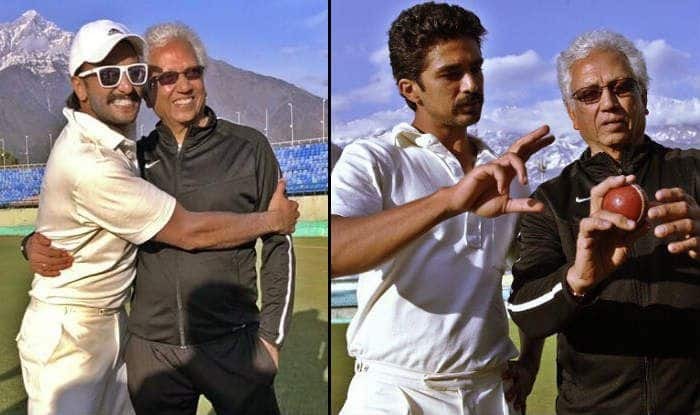 '83: After posting a picture with Kapil Dev, Ranveer Singh now shares a happy photo with cricketer Mohinder Amarnath from the Dharamshala stadium. Ranveer’s ’83, directed by Kabir Khan, is based on the story of India’s first cricket World Cup win in 1983 under the captaincy of Kapil Dev. Mohinder Amarnath was declared as Man of The Match in both the final and the semi-final matches that led India to the victory. He is considered as one of the finest batsmen across the world and is often revered for withstanding pain like no other player. Earlier, Ranveer posted another still from his practice session in which he was seen posing with the one he is playing in the film – Kapil Dev. The actor took to Instagram and called the cricketer a ‘LEGEND’ while posting a striking picture. 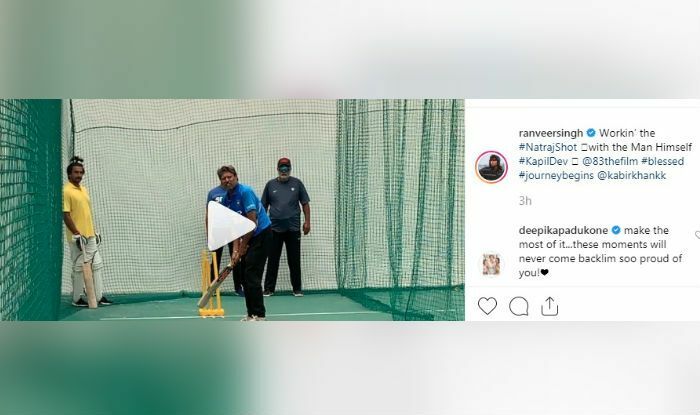 In another post, he shared a clip of the cricketer performing the natraj shot as Ranveer was standing behind him closely observing Dev’s leg movement. His wife and actor Deepika Padukone commented on the post and asked Ranveer to have the most of these moments as none of this will ever come back to his life. ’83 stars a lineup of actors and cricketers. It features Saqib Saleem, Ammy Virk, Hardy Sandhu, Pankaj Tripathi, Chirag Patil and Tahir Raj Bhasin among others in important roles. The film is slated to hit the screens on April 10, 2020.